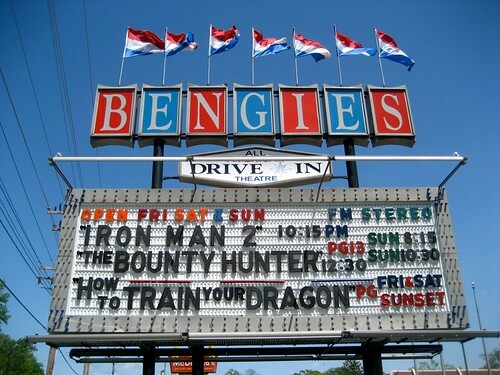 Drive In Movie Season – Bengie’s in MD, Haar’s in PA and The Glen, Lake George NY! I thought one post might be the easiest way to get the info out about 3 drive in movie theaters in MD, NY and PA since the drive in season is so short. And who can resist a some vintage intermission film enticing us to head to the snack bar? Not me! Open since 1956 Bengies has one of the more well kept marquees of the drive ins I’ve seen, and to see the amount of heavily worded signage lining the entrance to the theatre (and their website) you can see that the owners are all about the signs. 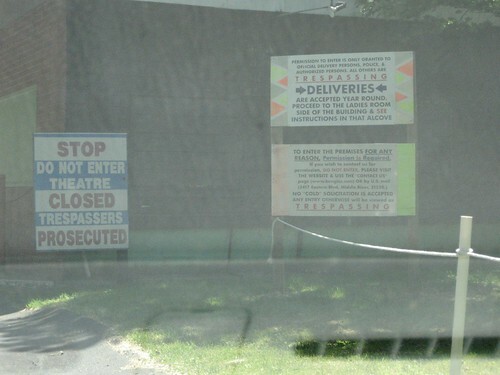 I did not think that the drive in would be totally open for business when I visited it on a sunny Saturday but I had hoped someone might be in the snackbar and willing to sell me one of the tee shirts that I had seen on their website. Alas the signs indicated in no uncertain terms that I should not even think of trying this. However I was TOTALLY unprepared for the lights and alarm sirens that went off as I turned the Retro Roadmap mobile around in the driveway on my way out. It scared the whoozits out of me for sure, and even now thinking about it I get jumpy. Hopefully when we return for a movie I’ll have better news to report and my blood pressure will return to normal :-). We could only drive past this drive in theatre on the way to someplace else, but its close proximity to Wolfe’s Diner makes it a perfect place for a Retro Roadmap type date. Since the diner was not open the day we were in Dillsburg, Retro Roadhusband and I will head out there for sure for a better report. 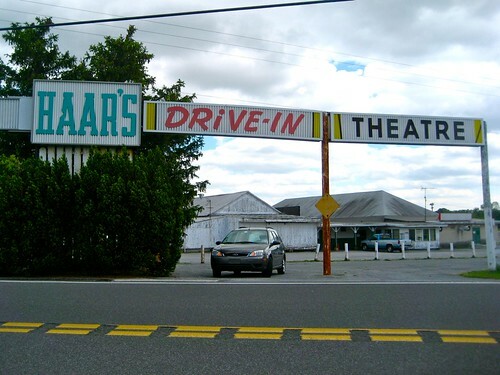 Open since 1953 Haars is a 1 screen theatre with the added interesting bonus of Friday night auctions as well. They have an on site snack bar with “fresh cut french fries, hot dogs, chicken tenders & nuggets, hamburgers, popcorn, soft serve ice cream” and more. And since we all know that sneaking in food is a no-no, do your part to support this drive in and buy your treats at the snack bar. We had absolutely no idea that there was a drive in movie theatre just minutes away from our vacation destination of Lake George NY, but knew we had to pull into the Glen Drive In which has been serving the drive in community since 1958 with a double screen option. Wish I was awake enough to see the double feature, but I will say that going to the drive in on our vacation was one of the great retro roadmap highlights! And my fave reason for seeing movies at the drive in? The wonderfully outdated and kitschy intermission reels! 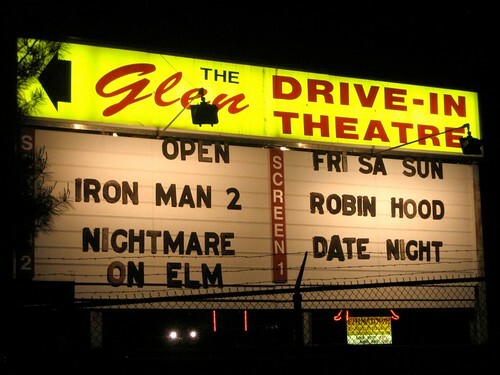 I hope to some day have every single Drive In in existence featured on the Retro Roadmap, until then Drive-Ins.com is a great resource to look up the drive in movie theatres near you. Now GO! 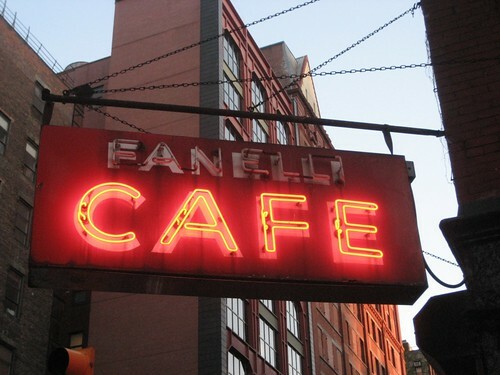 I would be remiss in my sharing of vintage places to visit if I did not hep my Retro Roadmap readers to Fanelli Cafe in New York City. 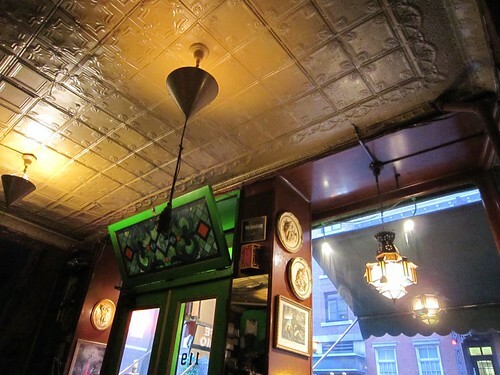 Thanks to RetromanNYC‘s handy tip we were able to dodge into this corner cafe and imbibe a casual drink while enjoying the ambiance that dates back to 1847, long before the neighborhood became known as SoHo. 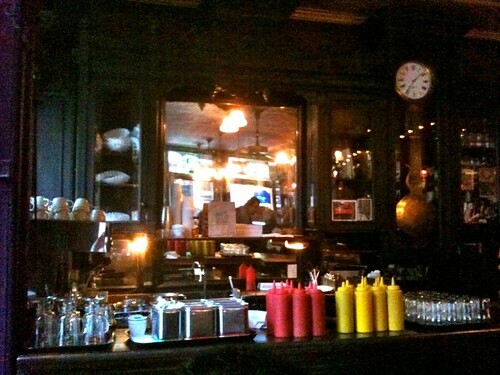 We weren’t sure how the bar vs table situation worked when we first entered the corner door, but were immediately waved to “site anywhere you like” by the friendly waitresses located towards the back, where the dark wood, mirrors and big clock made us felt like we had stepped back in time. 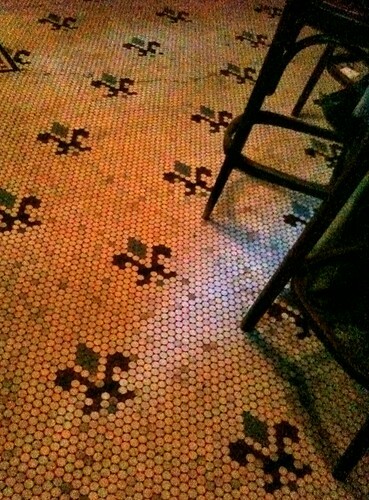 While seated at our table for two we were able to admire the great old back bar and the penny hex tile floors while drinking our lagers. Funny true story- while I was in the very small ladies “water closet” – literally closet sized – I could’ve sworn that my cell phone rang, so I scrambled for my phone in my purse- only to find it silent. Puzzled I grilled Retro Roadhusband thinking he may have called and hung up, which he rightly denied. A few moments later I heard “my phone” again, only to realize that it was the PAY PHONE located just outside the bathroom, that had that original phone ring that my modern cell only imitates! 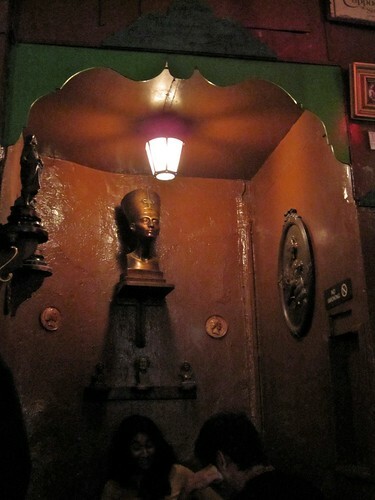 The ambiance and vibe of Fanelli’s was low key- which was a relief from some of the hoity-toity places in the immediate vicinity. 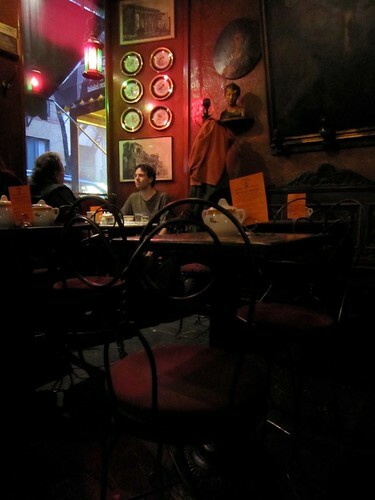 Our waitress had no problem with us taking up the tablespace for a while as we waited for pals to arrive and it was nice to sit back and watch folks come in and wander towards the back dining room. Quick word about the food- hmmm. how about, stick with the drinks! Not horrible, but I’d want to try out someplace else to eat next time. 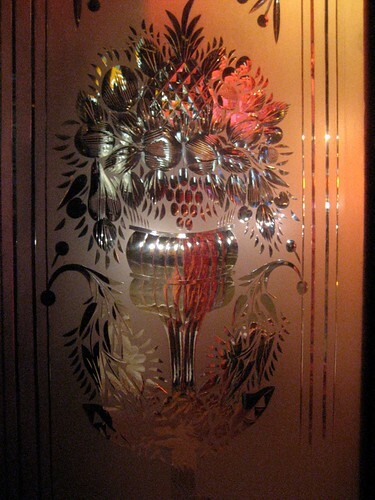 We didn’t realize how much time had passed when we were in Fanelli’s, but I loved how their etched glass door sparkled with the outdoor light as we left that evening. My lil point and shoot shot came out too blurry for me to post, but click here to see a really beautiful shot of the outside of Fanelli’s from New York Daily Photo – they’ve got a bit of the history too! So nice to have a vintage ball in the corner pocket especially in this neck of the city. NYC’s Empire Diner To Close- booooooo! Wow, the good news about NYC Retro Roadmap fun comes just in time to salve the stinging blow that The Empire Diner is closing in the middle of May! Thanks to Glenn Wells of the Roadside Fans group for spreading the (sad) news. I’m leaving today…. Read the entire article on the closing of the Empire Diner here. I remember making a point of coming here when my sisters and mum and I all went to NYC way back in the lateighties, early 90’s, and being thrilled by being in such a cosmopolitan version of a diner. I remember getting the chicken fried steak, and trying to collect all the post cards. And now I realize that even that era is close to being vintage and retro! I guess the times they are a changin’ but it sure will be sad to see this place go- so go there while you still can! 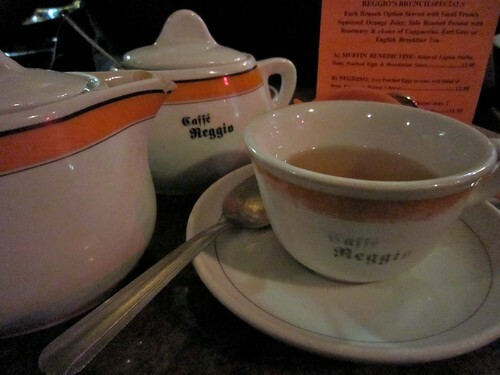 Get yourself to the Empire Diner before it closes- I’ve made it easy by putting it on the Retro Roadmap! The S.S. Normandie was the epitome of Art Deco-era style and sophistication – the largest, fastest and most glamorous of the so-called “floating palaces” of the early and mid-20th century.Her innovative, award-winning hull design was rivaled only by her unprecedented interior luxuries. 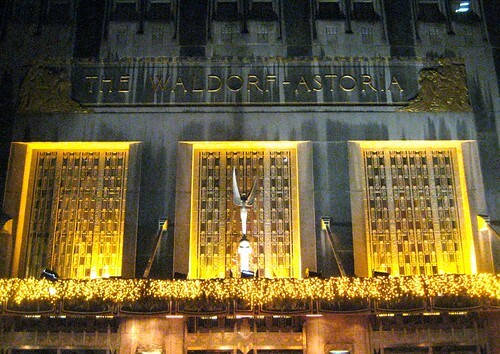 The Waldorf – Astoria Hotel, on Park Avenue in New York City. 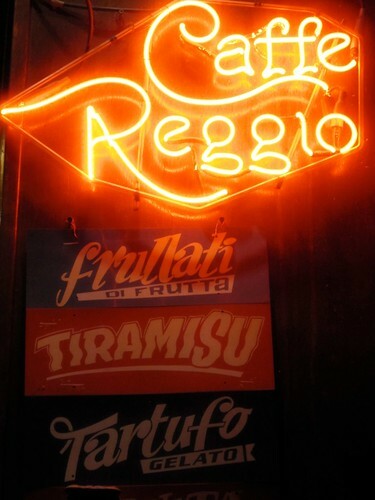 No, we couldn’t stay there, but check the place out and perhaps belly up to an elegant bar? Yep, few things turns my frown upside down better than a classic cocktail at a classic haunt. Just a quick holiday reminder that because you’re such a loyal reader of Retro Roadmap, you get a great discount on tickets to an off Broadway musical! I think these would make a perfect gift- who could resist a night in the big city and a show! Memories are made from events like this, not out of some thing you buy in a big box store, ya know! Just a word to the wise the show closes on January 3, so take advantage of this opportunity today! Discount for Retro Roadmap Readers -The Marvelous Wonderettes! I have a great offer to share with my loyal Retro Roadmap Readers – discount tickets to the musical show The Marvelous Wonderettes !